Medicare’s Competitive Bidding program will go into effect for 91 different regions July 1. While supporters say it will lower prices, opponents worry it will sacrifice jobs and care quality. 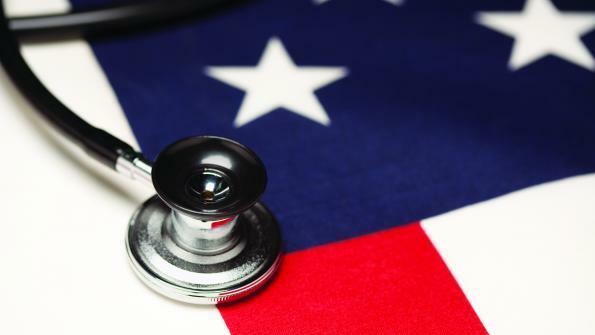 A Medicare bidding program, pioneered five years ago in nine areas of the country, will expand to 91 more areas July 1. Here’s a breakdown of the bidding program, and what it could mean for your area. The Medicare Durable Medical Equipment, Prosthetics, Orthotics and Supplies Competitive Bidding Program, part of the Medicare Modernization Act of 2003, replaces outdated Medicare prices with lower, more accurate pricing. Under the program, suppliers submit bids to provide medical equipment and supplies at a lower price than what Medicare currently pays, according to Medicare.gov. Under the bidding program, medical equipment providers would be legally required to use the lowest bidder for government-funded medical equipment, according to the Waterloo-Cedar Falls Courier. Current areas using Competitive Bidding are the Charlotte-Gastonia-Concord region of North and South Carolina; the Cincinnati-Middletown region of Ohio, Kentucky and Indiana; the Cleveland-Elyria-Mentor region of Ohio; the Dallas-Fort Worth-Arlington region of Texas; the Miami-Fort Lauderdale-Pompano Beach and Orlando-Kissimmee regions of Florida; Pittsburg, Pa.; and the Riverside-San Bernardino-Ontario areas of California. The program's July 1 expansion will include an additional 91 areas (listed below). “Competitive bidding is working, is saving taxpayers and beneficiaries billions of dollars, and ends unnecessarily high payments for common purchases like wheelchairs, diabetic testing strips and oxygen equipment,” a spokesman for the Centers for Medicare and Medicaid Services (CMS) said in a statement to Forbes. The program’s website says an expansion of Competitive Bidding will save customers and Medicare money, ensure access to quality medical equipment and help limit Medicare fraud and abuse. But not everyone agrees widespread Competitive Bidding will be beneficial. More than 220 members of congress have already signed a letter to CMS objecting to the advancement of competitive bidding, according to KWWL. Los Angeles-Long Beach-Santa Ana, Calf. For more invormation, vist Medicare's Competitive Bidding website.